Warlords is finally here. I've been too busy enjoying it to sit down and write in my free time. 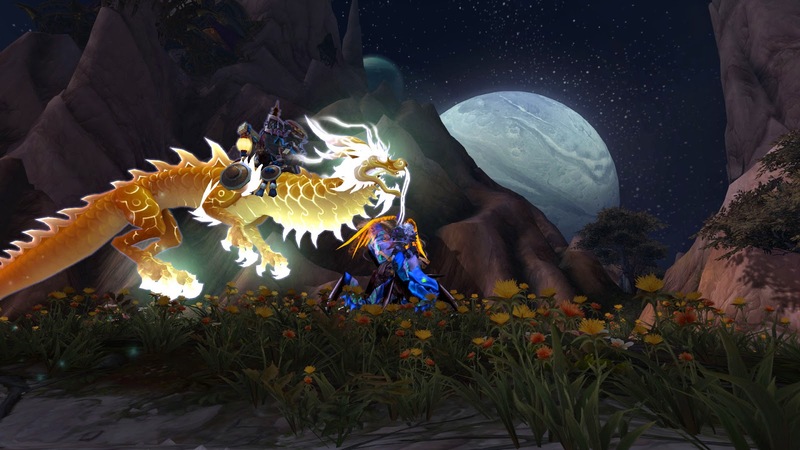 I have to say Blizzard hit this one out of the park with Warlords of Draenor. I have seen so much good feedback, long gone friends returning, even our guild roster is bursting at the seams with returning players. 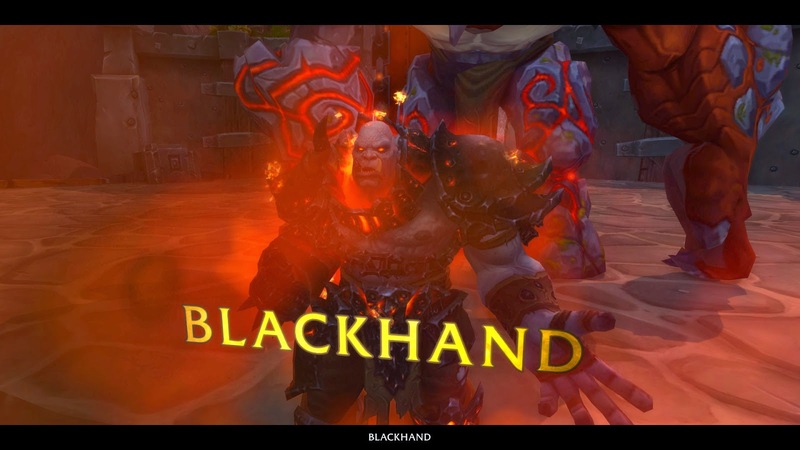 What's so great about Warlords? I'd have to say it is just a mix of everything. The content feels just right. Rewards feel good, not just a random green for every quest. Maybe you'll get an epic. 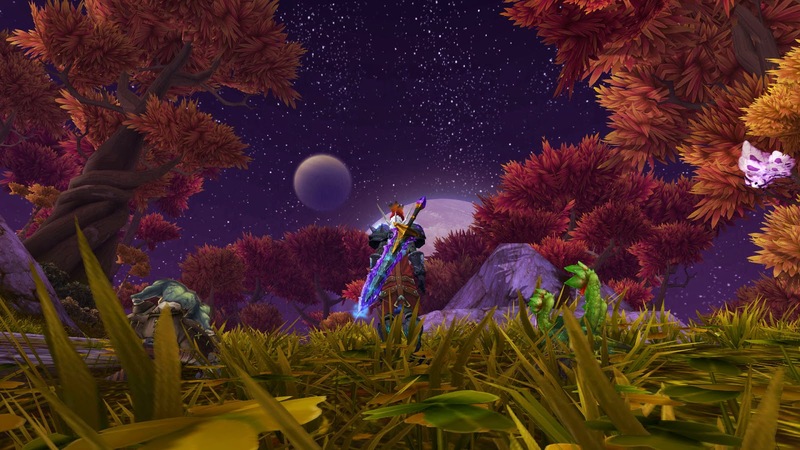 Things feel more rewarding all around, especially with the garrison tied into questing. 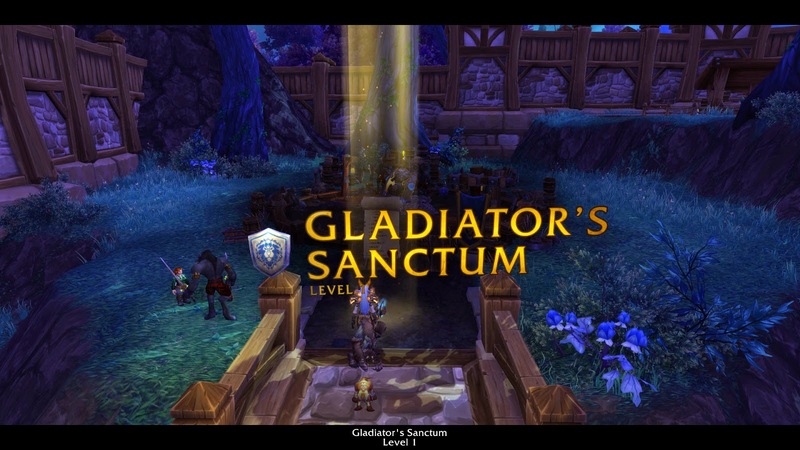 Maybe a quest chain will reward a follower for the garrison! Exploration feels good, and so many rares are up because we can't just fly over the zone to kill them all. Never thought I'd say that but so far it is working. Everything feels so festive. 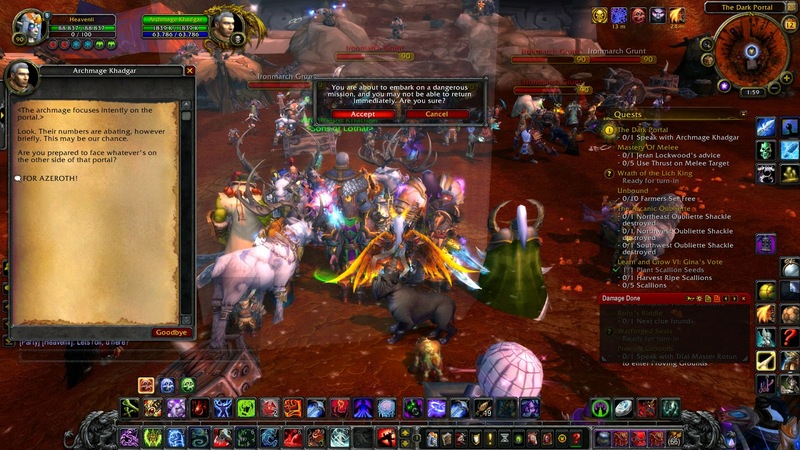 WoW is at a really good place now, if Blizzard keeps going in this direction the game can't go anywhere but up. My honest opinion. I decided to play my death knight up first. I've been enjoying it a lot before the xpac hit. I even started tanking. 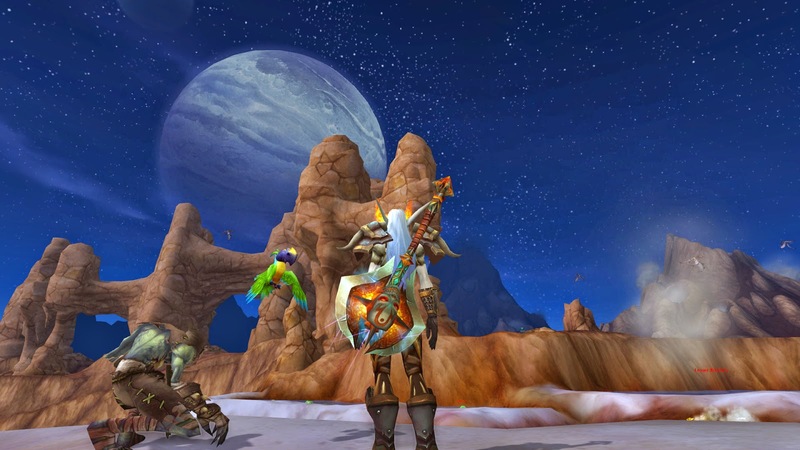 The DK was the first character I started playing when WoTLK released, which was a bit before I started writing here. It's a nice well rounded character and fun to play seriously again, even if it was my last to level to 90. The class is extremely durable and tanking is amazing. 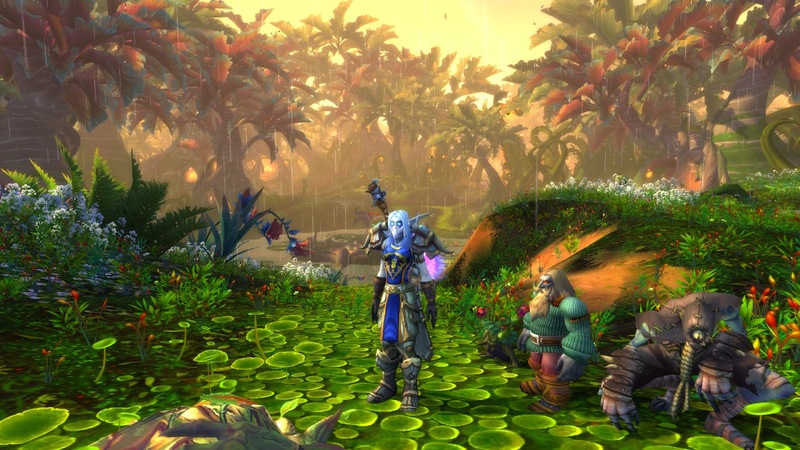 My son decided to level a druid from 1-90 the week before WoD hit and I did a lot of tanking once he hit the 80's. Which was actually quite fun, since then I always queue as tank. Dire is leveling the DK as well. I am sitting at 96, he's 95 and my son hit 100 yesterday. I'm not rushing as much as I could be. I have a foster puppy here with us so we've been trying to get him settled in. 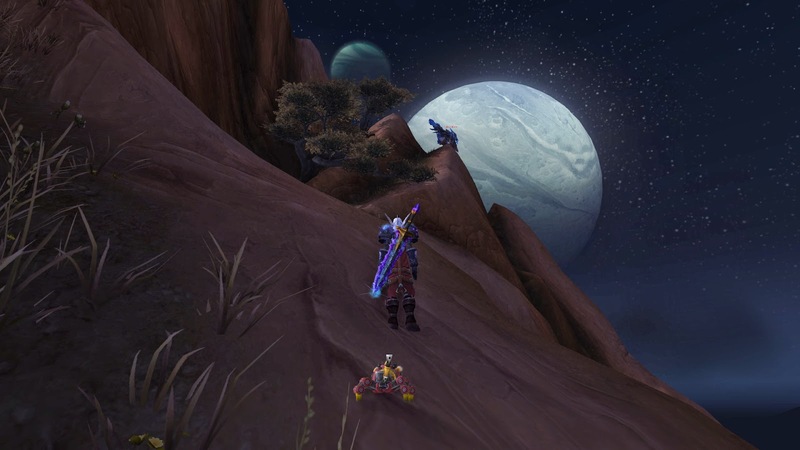 But I am really enjoying the expansion, I have not had this much fun in a long time. I'm also taking my time exploring EVERYTHING! The music is nice. It really is, I often find myself turning it on to listen as I explore. 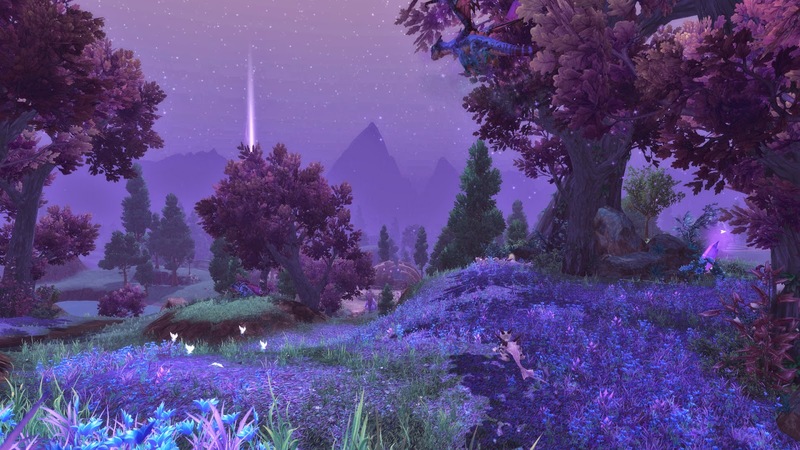 The zones are gorgeous. 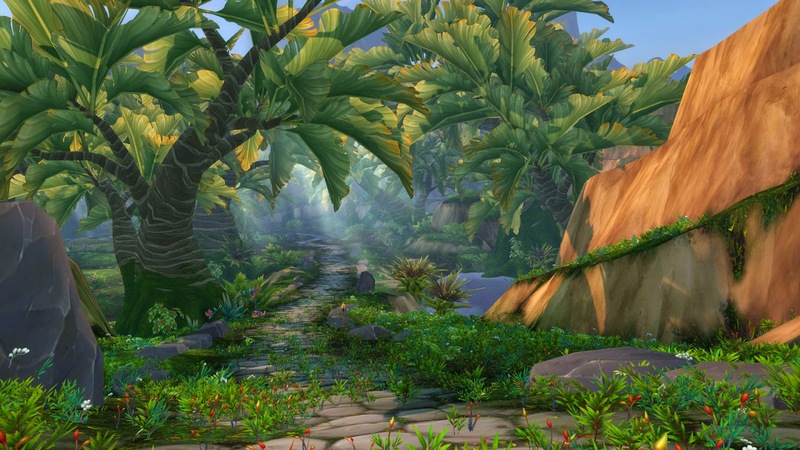 Some of the most beautiful areas in the game are in Warlords. 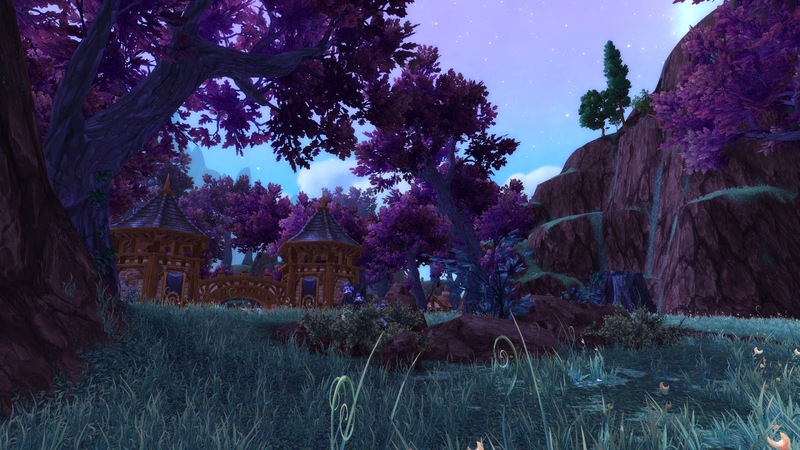 I wasn't that big on going back to Draenor but I will say TBC had some really great zones, so it has actually turned into a treat. And going back in time, seeing characters we know the story to, before the story has happened, well, that's pretty cool in all actuality. Garrisons are very nifty. If you're not a housing nut they are very practical and you'll still enjoy them. If you are a housing nut, they still have some pull and a lot of fun things to do. 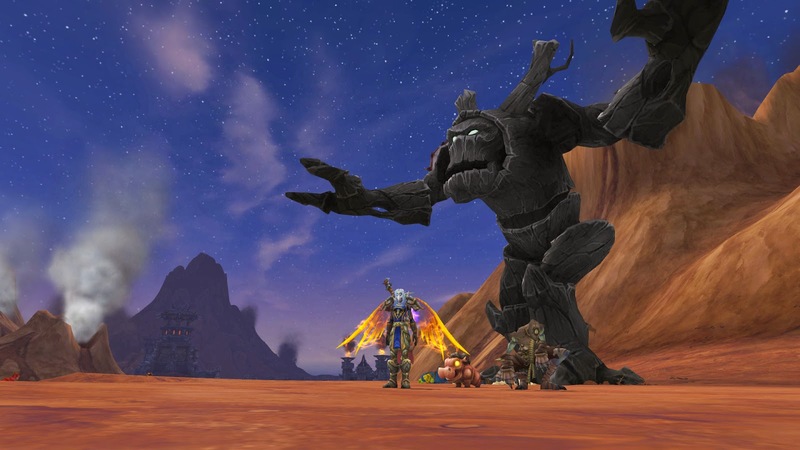 While you cannot decorate them, you still feel as if you have your own place in the World of Warcraft. There is a lot of depth here. 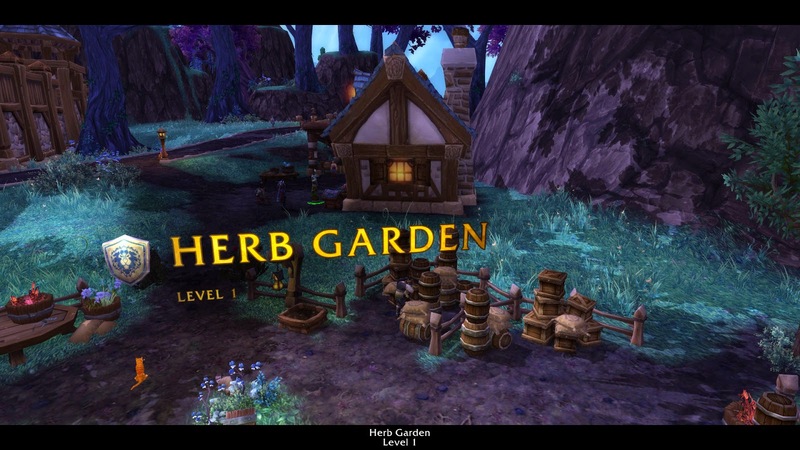 Even if you don't do professions you can still work on things through the garrison. Create armor, items, and so on. So there is a little bit of something for everyone. Rares are everywhere! 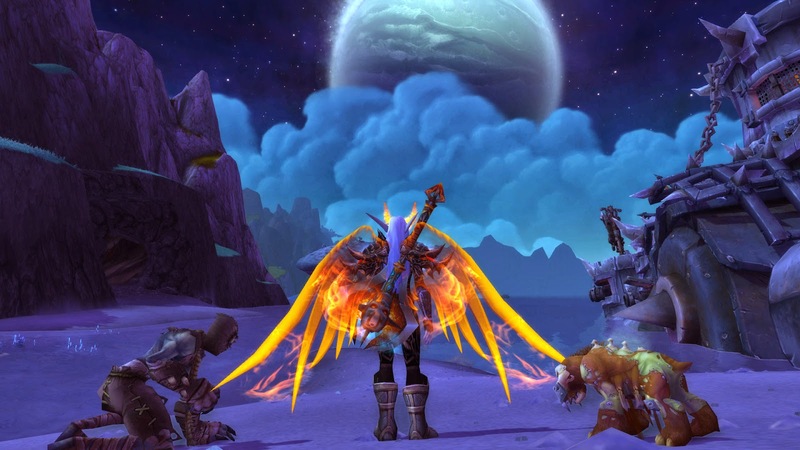 Lots of fun items such as pets, cosmetic items you might want to transmog (very cool appearances this xpac), upgrades, and garrison resources, are all out there ready for you to scoop up! There are also puzzles and little hidden treasures around, which is fun to stumble upon. I'm really having a blast and it is also nice to have the guys playing again too! There were a few really cool expansions out recently. But WoW had the most pull. It offered a boosted 90, MONTHS ago with a pre-order. So I picked it up over the summer and have been waiting and ready for months. EQ, EQ2 and Rift all had expansions. I am sure I'll pick up the EQ xpac one of these days. The level cap increased to 105, yikes. Out of them all this one was the second best deal IMO, compared to the others, if you buy the CE-- due to all you get. EQ2 was one of the worst. 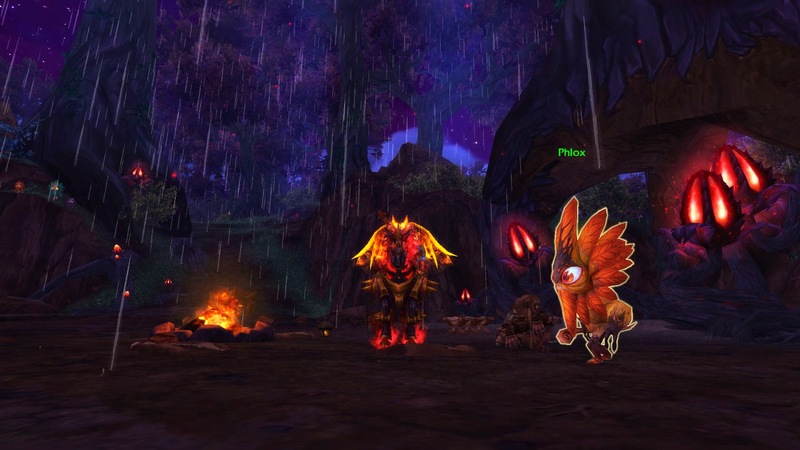 With a new race not included in the xpac, (cash shop) selling for two different package prices simply for cosmetic/flying abilities which must have seemed to be worth more money to the company. I passed on the xpac for now, I picked up the cheap race, which is very cool. I love the race. Finally long hair for females! I'll be leveling another alt instead of playing through the xpac anytime soon. The xpac sounds lack luster in many ways, from what I read. 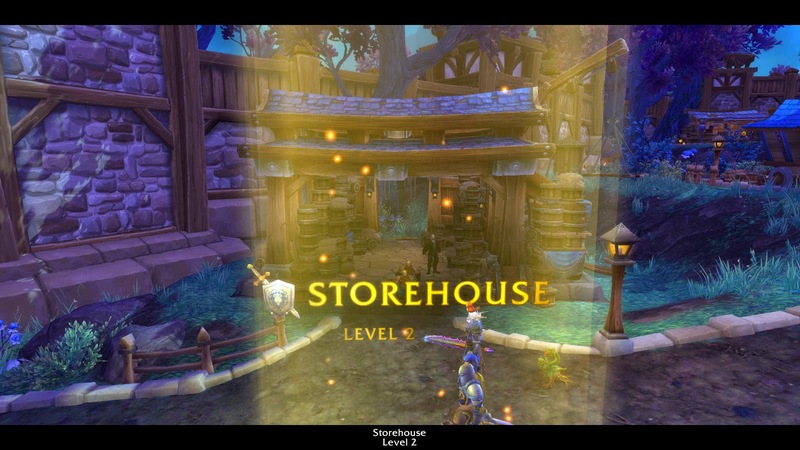 Questing runs out at level 98 or so, also the older zones took a huge nerf on xp (I take it even for mentoring?). They were were changed, to force players into the new content. So, I figure I'll wait for SOE to send in the clean up crew and then try it after things settle down. Rift looked great. 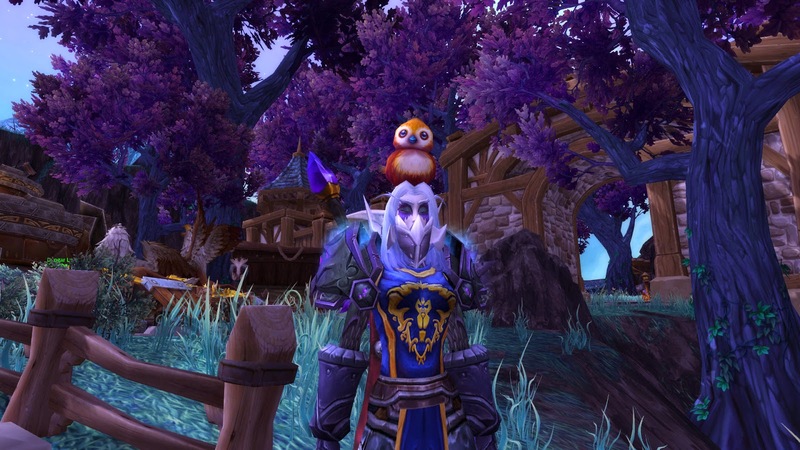 The minion system is much the same as the system with the garrison followers in WoW. But it seems something with the file format changed, I have to DL the whole game again. Eh, I don't have time for that right now. I wanted to see how the new xpac was, it just has to be better than storm legion! I'm going to keep an eye on things see what players reactions are there. 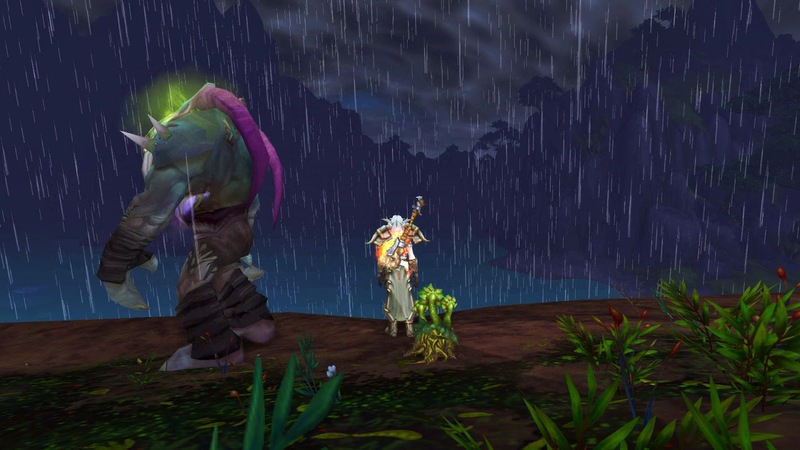 For now WoD is a renewal of all things fun in WoW. 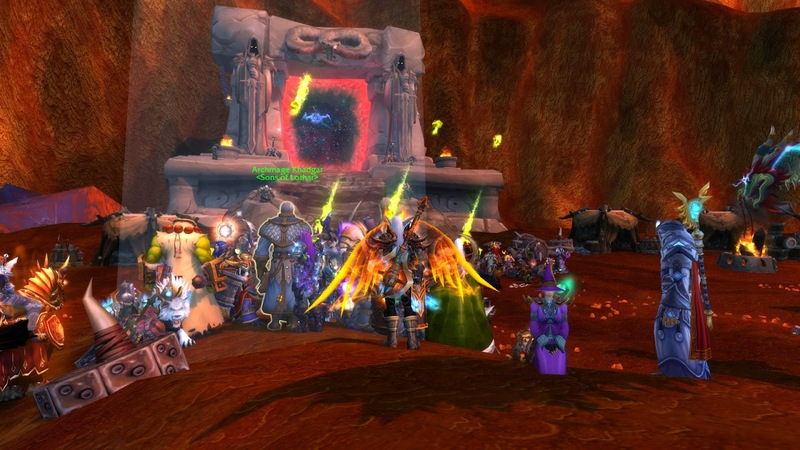 We get a nifty 10th anniversary raid soon, can't wait for that, because of the nostalgia factor. It really is great. We have queues again! Which isn't so great for us. 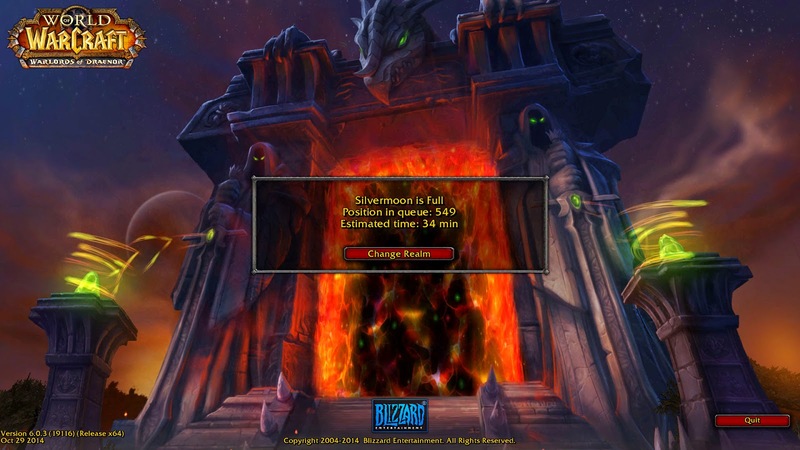 But it really is something to log in and see a queue after so long! Things have settled down on my server though. But still, that is something you don't see every day for a ten year old game. There is just a magic that WoW has, just when you think it might be all used up... You see that glimmer and sparkle again. And if you didn't notice, we get a free five days to help smooth things over from launch issues. Which were not so bad for me, but others seemed to have a rough time with queues up to nine hours! In recognition of the difficulties so many of you ran into when trying to play over the first few days, we're adding five days' worth of extra time to every subscription in the Americas, Oceania, and Europe that was active as of Friday, November 14. 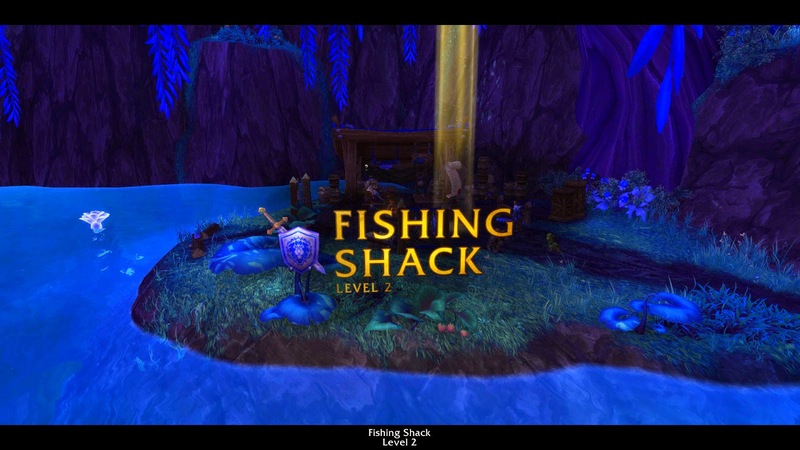 Things are already in a much better place than they were going into the weekend, so I hope you'll now be able to focus on having a ton of fun with this expansion. For me, the new EQ2 expansion, Altar of Malice, is probably the best since Sentinel's Fate in 2010 and quite possibly the best since Rise of Kunark in 2007. It's not fundamentally different from the last few in that it follows the same format of two Overland zones and a bunch of solo.advanced solo/heroic and raid instances, but the presentation is a hundred times better. Instead of revamped zones with a weird color overlay (ToV, CoE) or huge, featureless whiteout zones (all of the two disappointing Velious expansions except Cobalt Scar, the free GU, which is excellent) we get two absolutely gorgeous, fascinating, colorful maritime maps filled with islands. The main storyline is interesting and far easier to follow than the abstruse, abstract deities/alternate planes/afterlife ramblings of the last couple, while some of the side-stories are really moving and involving. 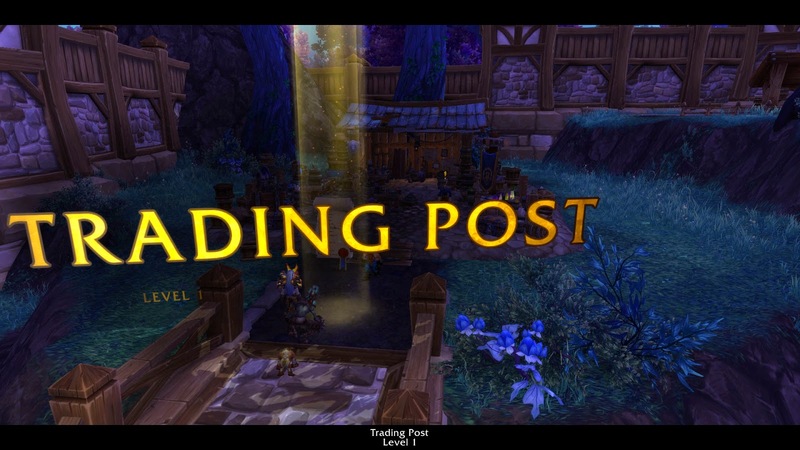 As for the nerf to post-95 leveling outside the expansion - that's utter nonsense. For some odd reason they have lowered xp in certain contested dungeons that you can still gain xp in at 95 without mentoring down, but mentoring is exactly the same as it always was. I agree the CE was poor value but since I have never bought anything but the standard edition of any MMO expansion that's not even a consideration. The regular edition is great value. Ah that sounds better than what I've heard then! I think my biggest disappointment was having to fork over for the race I realllly wanted and the xpac. I know I'll get it, because I get them all, EQ2 has always been one of my faves, good to hear some positives on it. Glad mentoring is working as it should,that is a huge relief! I love to mentor down and go back to things I may have skipped or just enjoy an old dungeon for fun. I look forward to reading on your adventures in the new xpac. I am thinking of leveling a new shadowknight up for a change of pace, plus it is just so fun to level through all those zones, so much choice. Started it before WoD came out and plan on picking it back up after I hit 100 there. I find myself missing EQ2 a lot when I don't play. I still try to pop in, I need to also check out the anniversary event!